Cortex helps business and editorial teams uncover the hidden value of their content with a new paradigm in revenue attribution and AI-powered media insights. From a single integrated interface, publisher business and editorial teams can consolidate and precisely weigh key revenue and engagement metrics to uncover the potential of high-performing content in real time. Cortex AI continuously learns and adapts to a publisher’s audience acquisition strategy, consistently providing actionable insights that fuel innovation and optimization. Cortex arms publishers with real-time revenue attribution across any monetization solution including Google/DoubleClick, Outbrain, and Taboola. Revenue data is attributed to unique metrics such as referral source, author, campaign, and interest targeting. The Cortex UI aggregates data from your entire acquisition and monetization matrix layering on AI-powered insights so both business and editorial teams can understand at a glance how your business is doing and how to make it run better. Cortex AI continuously learns and adapts to a publisher’s audience acquisition strategy, and provides actionable insights to develop and experiment with their media campaigns. 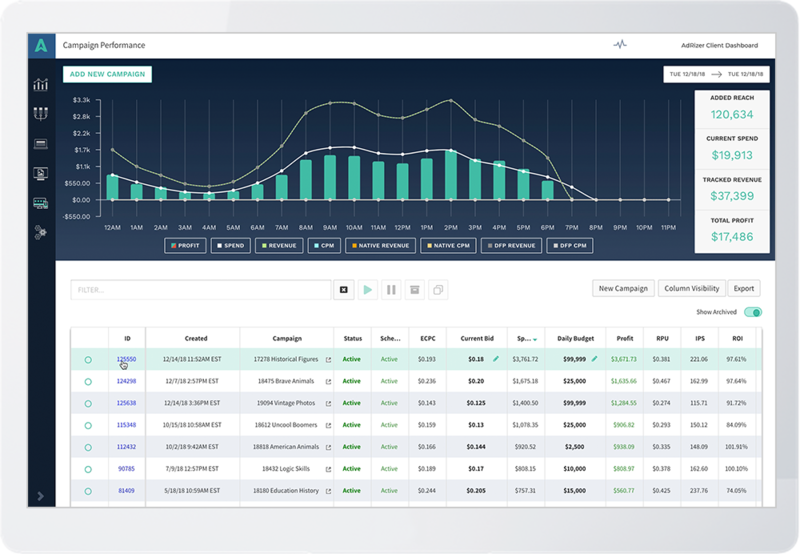 Cortex attribution is a low-cost, easy-to-implement SaaS solution that delivers rich real-time revenue data against a wide range of relevant metrics including by source, author, and article. 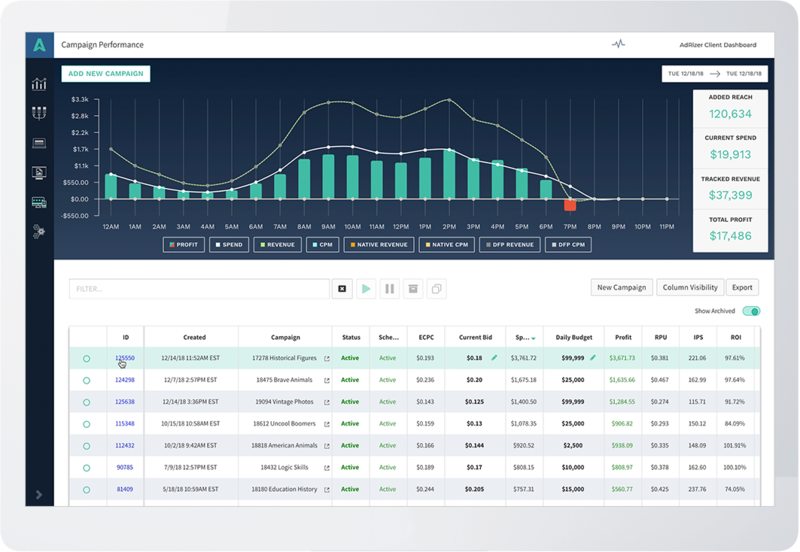 Get real-time insights across Your entire Monetization STrategy. Cortex AI adapts and learns in real time delivering insights that help fine tune your audience acquisition and yield optimization strategies. Take things in your hands with a SaaS engagement or let a dedicated team of AdRizer media experts do it for you. Cortex was built to help publishers and editorial teams connect dots between data points that might otherwise go overlooked. Put simply, that means more revenue for you! 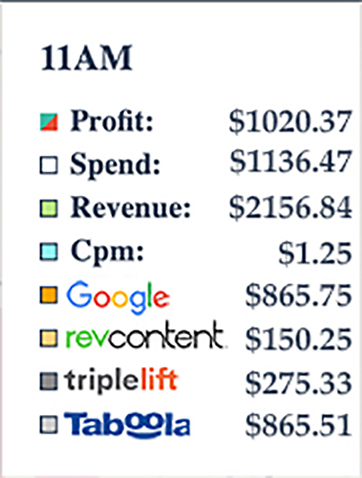 "We now attribute our revenue by meaningful business metrics. This intelligence informs our content creation efforts and helps us achieve a revenue scale not possible before." "Understanding which traffic sources are driving our revenue has always been difficult. With Cortex, I know in an instance how all of our media campaigns are performing." "Cortex is a deceptively simple analytics tool. Without it, we were driving blind regarding which content creators are affecting the most revenue." Cortex delivers a new paradigm in revenue attribution for publishers. Layering revenue data with traditional engagement metrics helps paint a more detailed picture of how your content is performing. Leverage Cortex to amplify its reach or even compensate content creators based on revenue generated.